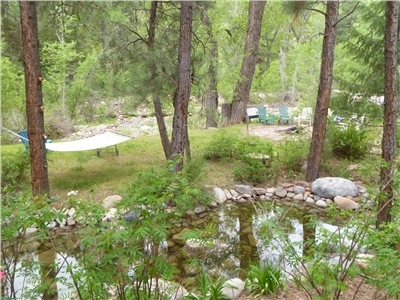 Durango's Creekside Retreat offers a unique vacation experience for larger groups. The Durango Creekside Vacation Home is a private residence and has 5 bedrooms and 2 1/2 baths, and has never been offered in a rental program. 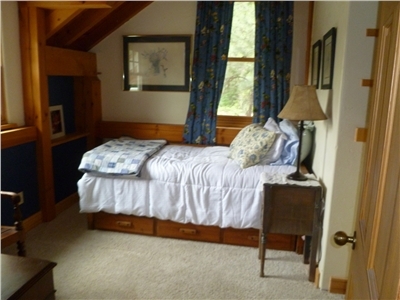 It's a perfect family retreat that will sleep 14! This 3,900 sq. ft. home is just steps away from the start of the well-known Colorado Trail. 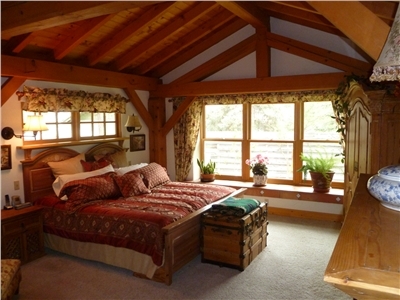 Enjoy mountain living right in your back yard with all the comforts of home. 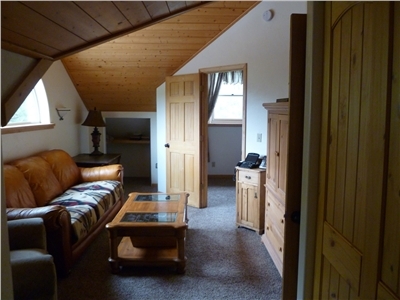 Only 10 minutes to downtown Durango and 2 minutes from San Juan National Forest. 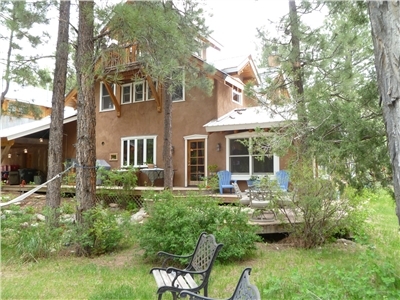 This home has 5 bedrooms plus a special loft over looking Junction Creek. This Timber-frame home has a pool table, large fireplace, gourmet kitchen, and a large dining area to seat the entire crew. Bring your mountain bike, hiking shoes or just relax creek-side with your book and make this your next family reunion get together. 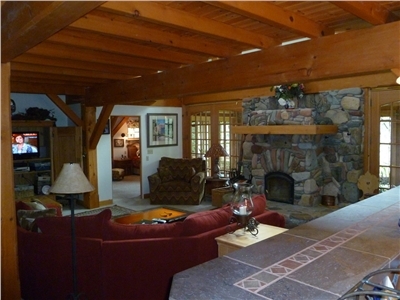 Durango Creekside 5 bedroom 2 1/2 bath, has never been offered in a rental program. A perfect family retreat that will sleep 12! 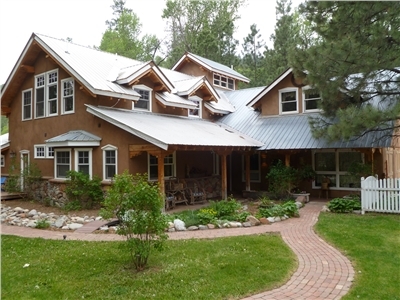 This 3900 square foot home is just steps away from the origin of the Colorado Trail. Enjoy Junction living right in you back yard with all the comforts of home. 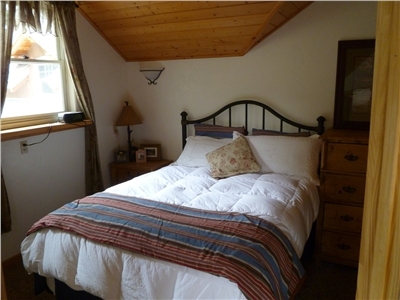 Only 10 minutes to Downtown Durango and 2 minutes from San Juan National Forrest. 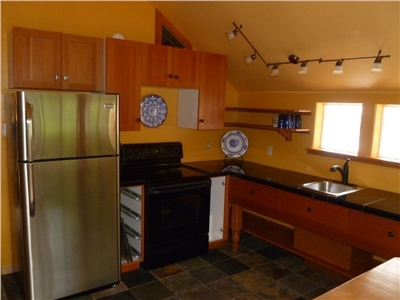 This home has 5 bedrooms plus a special loft over looking Junction Creek. 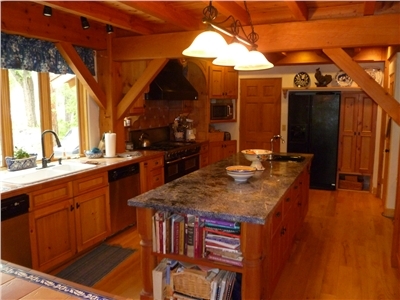 This Timberframe home has a pool table, large fireplace, gourmet kitchen and a large dining area to sit the entire crew. Bring your mountain bike, hiking shoes or just relax creekside with your book and make this your next family reunion get together. Loft has a Fold Down Double. From Main Ave. heading north turn left on 25th Ave - 25th Ave will turn into CR 204 traveling northwest. Address is 2421 CR 204. Traveling south on Main Ave you will turn right on 25th Ave which will turn into CR 204. Will turn left for 2421 CR 204. General	| Owner will contact you with information on lock box for entering the home. Cancellation	| No refund for cancellation within 15 days from arrival unless we are able to rebook the home over the dates reserved. If cancelled ouside 15 days from arrival - 1 nights deposit will be forfeited. Pets	| Sorry, No pets at this time. Other	| No refund for cancellation within 15 days from arrival unless we are able to rebook the home over the dates reserved. If cancelled outside 15 days from arrival - 1 nights deposit will be forfeited. Security deposit of $500.00 will be required to be sent to the owner of the home after reservation are confirmed. Homeowner will contact you for instructions on how to enter the house after reservations are confirmed. Firewood provided for the fireplace.